There’s nothing like the perfect picnic or barbecue to slow down and reconnect with friends and family. This season, gather together guests and surprise them with a rustic backyard picnic and the best backyard BBQ recipes around! Every Friday, my neighborhood hosts a Kiddies and Cocktails for families with younger children. Each family brings a dish to share with the rest of the group, along with their beverages for the evening, and the host prepares dinner for the kids! It’s the perfect excuse to get everyone together without the pressure. Designing a backyard party is easy. All you need to do it set the scene with the right decor and a little bit of creative. Then let nature take care of the rest! This post contains affiliate links. Serve beverages in Mason jars, which can also be used as flower vases. Cover a rustic table with gingham tablecloth. Fill large wicker baskets with apples or lemons to use as centerpieces. If hosting in the evening, line the table with tea lights and lanterns. You can even use battery operated ones if you’re going to have little ones around. Before you even get started, be sure you have the right grilling accessories! No matter what my family prefers on their burgers, they all agree that Jenny Burgers are the best burger patty recipe out there! This summer, take your backyard barbecue staples from basic to bold with this knock-out Cowboy Burger with a brazen rub that creates a caramelized outer layer. Make a serious statement at the dinner table with this smoked delight — Ancho Chile Rubbed Smoked Beef Brisket. Who wouldn’t love these crazy good Hawaiian Steak Kabobs with fresh pineapples and bell peppers, marinated with a homemade Hawaiian steak marinade? All the peppers, onions, Mexican spices and creamy guacamole you love in fajitas … jam-crammed into one gloriously, deliciously satisfying Fajita Burger recipe! Marinated Beef Kabobs are delicious grilled beef and veggies served over a bed of rice. 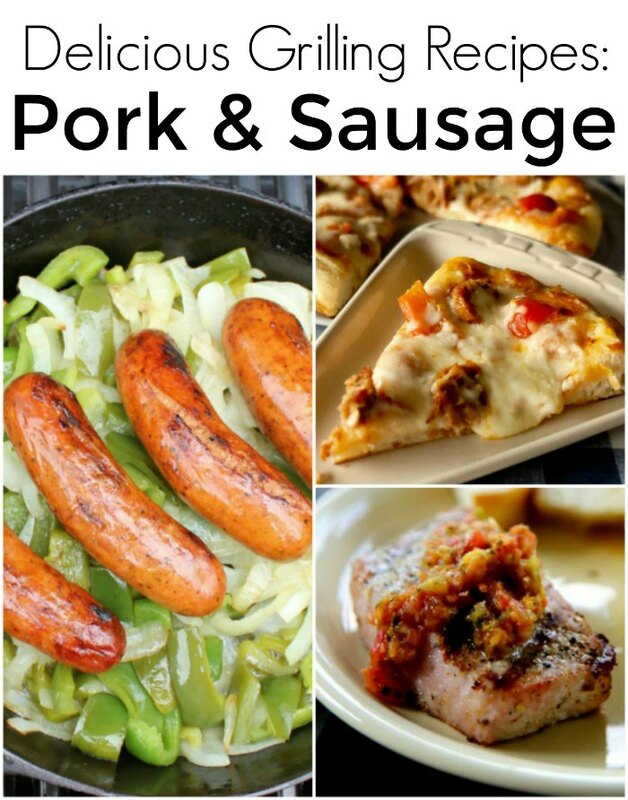 Perfect quick dinner idea for a weeknight or a get-together. What’s super-tasty, fun and easy to make, and full of visually stimulating colors and textures? Why, these Grilled Orange Beef Kabobs are! Who doesn’t like to eat food on a stick? Portable and delicious these Chicken Kabobs with Blackberry BBQ Sauce will be the hit of your next neighborhood grilling bash. Too hot inside? Power out? Use your grill as a summer kitchen to make this Napa Cabbage and Chicken Skillet Supper. Bring Asian flavors to your grill with this flavorful meal of Korean-seasoned Vegetables and Chicken Thighs, grilled and served with bok choy and rice. This Grilled Lime Chicken Salad is packed full of flavor. Not to mention it’s made with fresh chicken! Major win. Take the classic flavor combination of eggplant parmigiana or chicken parmigiana and turn it into an Eggplant Parmigiana Pizza! The Greatest Grilled Chicken…EVER! This no-fail recipe for the most flavorful, succulent, and tender chicken will be the only one you’ll ever need! This method will produce the best poultry you’ve ever tasted! Marinated Pineapple Cilantro Chicken Kabobs are a tasty and healthy way to grill some meat and veggies with a side of fruit! Gather ’round the grill with family and friends to make this Grilled BBQ Chicken Pizza recipe with zucchini, mushrooms, onions and peppers. Not only will you enjoy a flavorful pizza, but you’ll make some memories in the process. Enjoy these Grilled Italian Sweet Sausages with Peppers and Onions — perfect for a football gathering. The heat of the jalapeno with the sweet of the peach and mango will make you ask for seconds for these Grilled Chops with a Peach Mango Salsa recipe. Grilled Italian pork sausages, bell peppers, and onions top this Grilled Pizza with plenty of cheese from both provolone and mozzarella. Want a great grilling recipe that isn’t the typical burger night? This Grilled Lemon Garlic Shrimp is a family pleaser and easy enough to make. With grilling season here, there is nothing more perfect than a perfectly prepared Grilled Cedar Plank Salmon. And the perfect side — grilled sweet potatoes! Grilled Chipotle Shrimp Tacos with Peach Salsa. It’s a perfect summer grilling recipe and great when you want a dinner that is filling, but that is light and won’t leave you in a food coma. Caprese Grilled Fish is a super-simple yet incredibly delicious meal that’s perfect with summer’s best tomatoes and basil. Some days I feel like having a vegetarian meal but honestly just don’t know where to start. This Balsamic Grilled Tofu feels indulgent but is crazy healthy for you. 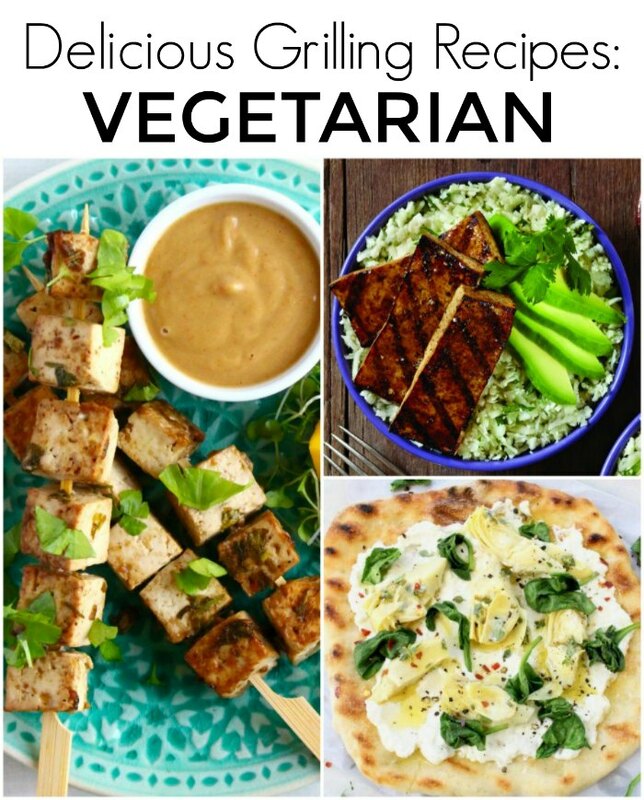 Vegan Tofu Satay is super satisfying, just as delicious as its chicken counterpart, and also incidentally gluten-free and really healthy. Pair your love for grilling and Mexican food with these Grilled Bean Flautas! Served with a slightly spicy tahini sauce, these Grilled Ginger Cauliflower Steaks need to hit your grill stat! How to make grilled Panzanella Salad, one of the most delicious classic Italian bread salads, a Tuscan peasant dish worthy of royalty, traditionally made with day old bread. The best summery Pizza Bianca with ricotta, spinach and marinated artichoke hearts on thin and crispy crust quickly grilled. Mexican Corn knocks the socks off of any corn dish you could possible serve this summer. This Mexican Corn Recipe is going to complete any backyard barbecue! This Grilled Corn recipe is packed with flavor and the best part is you can use any flavors that your family enjoys. Enjoy a sweet treat that’s not only healthy but oh so delicious — Grilled Fruit Salad. Serve chunks of grilled butternut squash and bell peppers as a side dish, tossed with grilled sausage for a main dish, and/or combined with pasta for a complete meal. Crispy grilled potatoes smashed and seasoned with garlic scape pesto is a must have at any dinner! Try fresh green beans, grilled until nicely browned, tossed with a garlic scape pesto dressing and buried under a dusting of Parmesan cheese. Use the leftovers for an appetizer wrapped in salami. Tender chunks of Zucchini Grilled and Tossed with Feta Cheese for a simple side dish to accompany a variety of meals. The flavor from the grill, plus that perfect smokey taste from smoked paprika, makes Grilled Plantains a hit. Nothing says summer like Grilled Corn on the Cob with herb butter! Some things just go well together… like chicken wings and beer! Who’s up for some crispy Citrus Herb-Salt Crispy Grilled Chicken Wings? 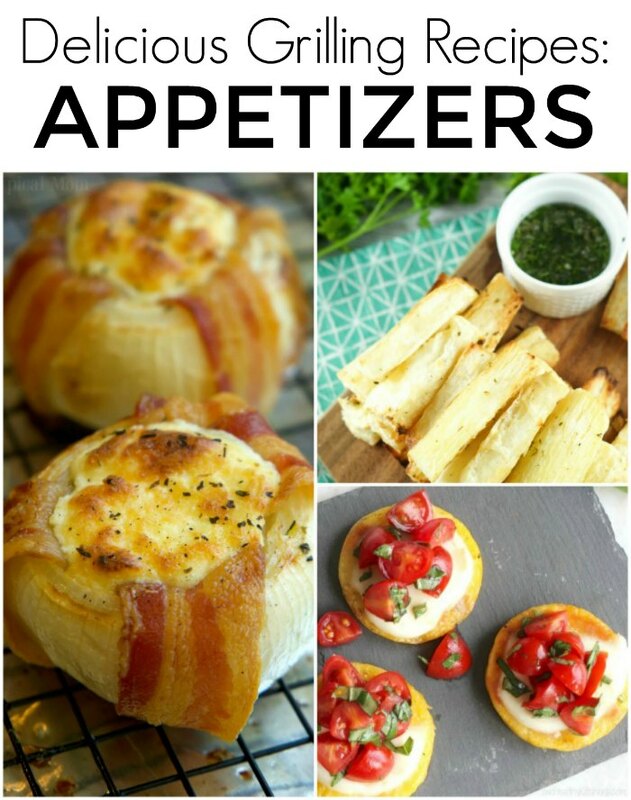 Mozzarella Stuffed Bacon Wrapped Onions are an amazing side dish or main course! Baked or grilled they are sweet and savory with lots of cheese oozing out. This Grilled Mozzarella Stick Pizza with Pickled Peppers is a gooey cheesy pie with a bit of a kick. Throw a few handy toppings on a pizza, then throw it on the grill for a fast, easy, and cheesy meal. This Grilled Corn with Pear Chorizo Salad is a yummy appetizer! Sweet corn lovers, it’s a must-try this summer. Easy Grilled Polenta with fresh mozzarella and balsamic tomatoes — a super easy appetizer or side dish! Grilled Yuca with Garlic Mojo Sauce — delicious yuccas are smothered with garlic mojo sauce and then grilled until crispy. Grilled cherries and greek yogurt flavor this sweetly wholesome breakfast treat — Grilled Cherry Muffins. These Banana Split Dessert Nachos capture all the beloved flavors of a classic banana split … in a super-fun grilled dessert! Crispy, sweetened “nacho chips,” caramelized fruit, and a delicious strawberry sauce. Even better with a little scoop of ice cream! Quick, easy, decadent … and surprisingly nutritious, too! 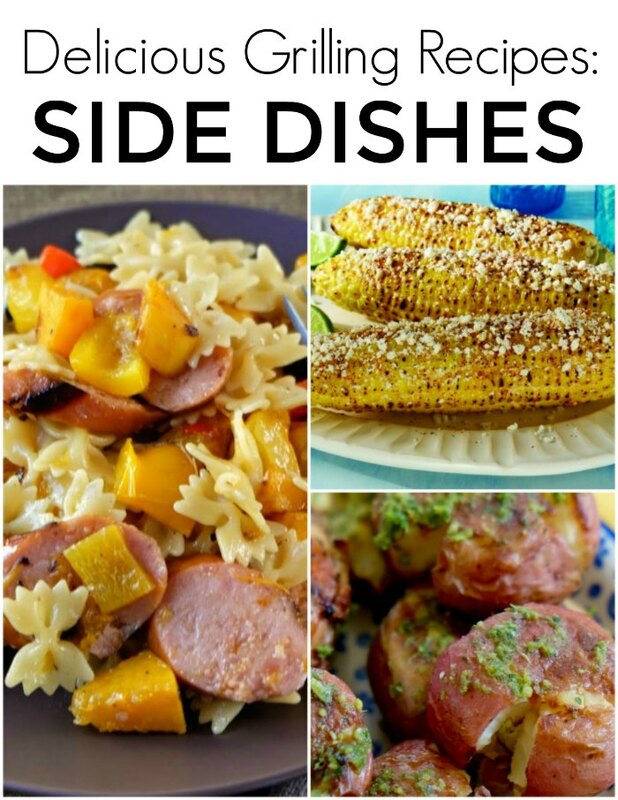 Love these backyard BBQ recipes? 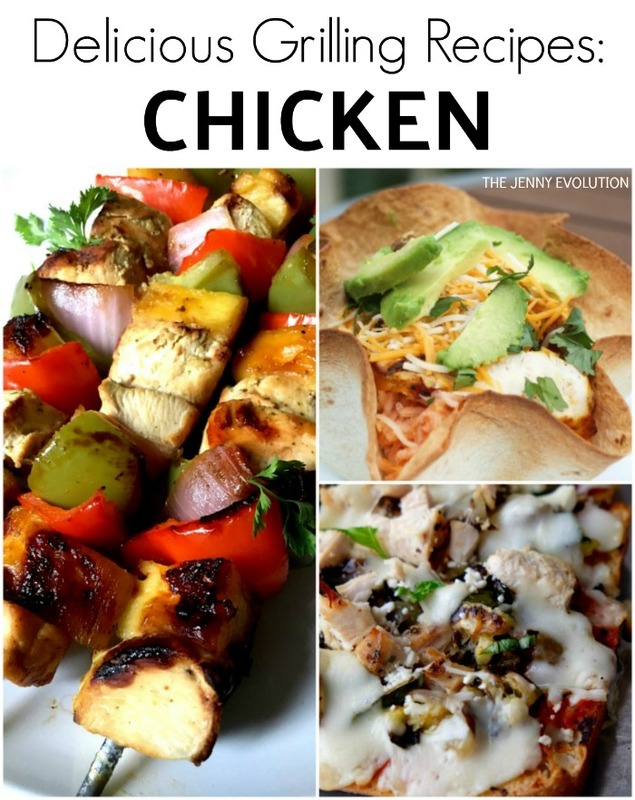 Find even more amazing recipes on The Jenny Evolution! Wow!! So many great dishes to choose from! 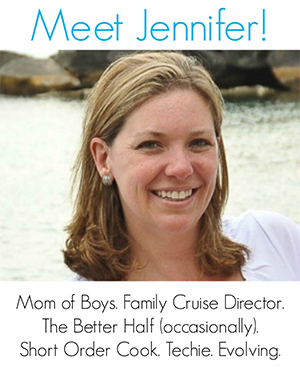 Thanks for sharing at the What’s for Dinner link party! 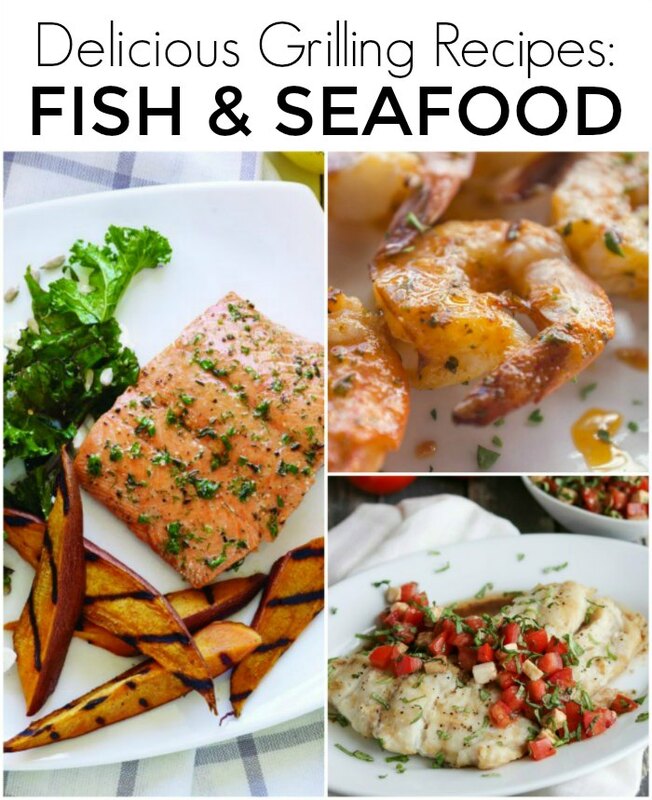 This is a great list of yummy dishes.. definitely going to bookmark this.. I hope you are enjoying yourself at Fiesta Friday ?.. 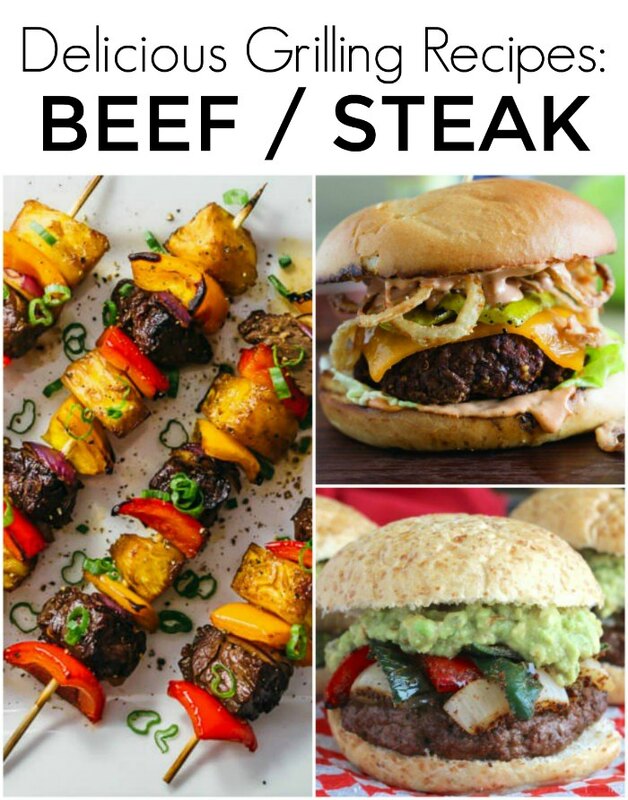 I just pinned your awesome collection of Backyard BBQ Recipes! I sure appreciate you sharing with us at Full Plate Thursday. Have a great week and come back soon! Thanks for the ideas! Thank you for sharing it over at Food Friday! Excited to see what you’ll be sharing next!